Last week’s installment of “this week in mental training” discussed the use of purposeful routines as an effective way to manage effort and recovery throughout a competition. Routines are useful for maintaining a present-minded focus especially when coupled with the mental skill of acceptance. Individuals who are confident in themselves and their abilities exhibit high levels of acceptance for their shortcomings. Acceptance for events outside of one’s control in the present moment (past shots, rankings, and fixed personal attributes) results in greater effort and the ability to overcome adversity over the course of a career. Effective athletes train themselves to have “a short memory” (a.k.a. acceptance) for mistakes in order to become fully immersed in the present moment once again. Lack of acceptance leads to wasted energy and attention which serves as a drain to the pursuit of long-term goals. HILTON HEAD ISLAND, S.C.– The road to a world No. 1 ranking is filled with twists and turns, as evident by LPGA player, Stacy Lewis. This week at the RR Donnelley LPGA Founders Cup, Lewis seized the Rolex No. 1 ranking, but not without a true test of her character and ability on the course. After the completion of her third round, Lewis was sitting pretty just two strokes behind leader, Ai Miyazato heading into the final round. Before signing her scorecard, Lewis was slammed with a two-stroke penalty throwing her four-shots back from Miyazato. Knowing this was her chance to capture a No. 1 ranking, Lewis had been dealt what should have been a momentum-killing setback. Lewis received the two-stroke penalty as a result of a violation of Rule 13-4, which prohibits players from testing the condition of a hazard (bunker). Lewis’s caddie tested the surface of a fairway bunker on No. 16 with his right foot. Television viewers called in to LPGA officials regarding the violation, leading to a review of the video after the round, and ultimately the two-stroke penalty. Suddenly, Lewis was four strokes back of the victory and the No. 1 ranking heading into the final round. Lewis maintained a positive outlook on the situation at all times. Lewis turned her anguish into fuel for her final round and carded an 8-under-par 64 to rein victorious in Phoenix and become the second American female to take the Rolex No. 1 Ranking. What can a junior golfer take from Lewis’s story? In a round of golf there are millions of opportunities for disappointment. A single bad shot or penalty stroke can feel like the end of the world in the middle of a promising round. It is easy to let frustration build from a bad hole, or an unfortunate break. One bad hole is not the end of the world. The importance of keeping a level head and realistic goals is evident in Lewis’s story. Lewis took her unfortunate situation and turned it on its head. Instead of focusing on the negative aspects of her round, she took what could have been a tournament-ending blow and used it to propel herself to victory. During the final round on Sunday, Lewis birdied four of the final six holes to seal the win. Learning how to take a difficult situation and turn it into a positive is a skill that benefits golfers on and off the course, but is not easily mastered. Junior Sports Corporation Assistant Director of Mental Training, Scott Swainston is trained to help junior competitors learn to take situations like Lewis’ in stride. HILTON HEAD ISLAND, S.C.– Last weekend Tiger Woods captured his 17th World Golf Championships (WGC) title at the Cadillac Championship in Doral, Fla., after beginning the final round with a four-stroke lead. Woods has never lost on tour when holding at least a four-shot lead entering the final round. In total, Woods has converted 40 of 42 outright 54-hole leads into wins on the PGA TOUR and is now 8-8 converting 54-hole leads into wins at WGC events. Nothing short of impressive – but what can the average or aspiring amateur golfer learn from Woods’s success? Any golfer, professional and junior alike, that has played in a competitive golf event has felt the pressure of the final round. Whether attempting to break 80, shatter a personal record or trying to win the event, the final round provides psychological challenges not found in any other round. Thoughts during the final round are absolutely related to the outcome of the tournament. The body does not move or react without thoughts. Being aware of the way thoughts, feelings and actions work together will change the outcome of a round. Director of Mental Training, Matt Cuccaro explains how self-talk (or the voice inside your head) controls attitude, emotions and, when used effectively, is a helpful tool to focus attention in competition. Woods is the epitome of what strong mental training can do for a competitive golfer in a final round pinch. If you need help navigating self-talk during competitive rounds, set up a consultation with Cuccaro or assistant Director of Mental Training, Scott Swainston. Swainston will be on-site at three IJGT Events during the Spring season: #RocktheSocks Open at Bulle Rock presented by KENTWOOL Socks , the Chocolate Challenge at Hershey and the Bridgestone Tournament of Champions. Mental Training is a huge aspect of sports training, but what exactly is Mental Training? Below you will find the top 5 misconceptions heard about the mental game. Opposite those misconceptions you will find explanations to clarify the philosophy of the Junior Sports Corporation mental training program. “Forget bad shots” Neuroscience tells us that we don’t have the capability to simply forget. The most important aspect following any shot, regardless of the outcome, is to accept the shot. That means you have completely come to terms with where the ball has come to rest. There is nothing you can do at that point, except learn. “Practice makes perfect” The old adage that practice makes perfect implies that there is a “perfect” out there. In golf that couldn’t be further from the truth. Quality practice is about stretching your current abilities by challenging yourself. If you have set up the proper challenge you will make the mistakes necessary to learn and build skill. Mental training is more of a marathon than a sprint. Building healthy habits for competition and practice takes time. Training your mind works very similar to building technique in your golf swing. It takes purpose, learning from mistakes, and tune-ups over time. The foundation of our mental training program is developing a mindset of continuous improvement. “Mental training is only for someone with a problem or for when you are playing poorly” Mental training is for anyone looking to improve their approach to the game. Time after time you hear elite athletes discussing the journey and their continuous desire to get better. Continuous improvement is achieved by seeking challenge and developing curiosity in practice. This will ensure that you are doing all you can to reach your full potential. Mental training is about developing a mindset which allows you to constantly challenge yourself. Seeking challenge will allow you to learn more about yourself, and deal with the realities in front of you. Athletes who are able to do these things will maximize their abilities throughout the ongoing journey of development. http://www.ijgt.com/wp-content/uploads/2016/05/blank-logo.png 0 0 IJGT Admin http://www.ijgt.com/wp-content/uploads/2016/05/blank-logo.png IJGT Admin2013-02-27 11:06:542013-07-18 10:59:08What is Mental Training? Provide exceptional junior golfers with the opportunity to develop and showcase their competitive skills while setting high standards to preserve the traditions and integrity of the game. Tour Caliber Events – New venue each week, but same championship feel! Course Marking / Competition Set up – IJGT prides itself on professionally-run tournaments and tournament staff will arrive at the venue one week before competition. During the preparation time we will set up and mark each golf course accurately by USGA standards. Playing Options – All IJGT members may choose from over 160 open golf tournaments in North America during their membership, per the Canadian Junior Golf Association and IJGT member partnership. 10 events will be filled by performance based entry, the rest are open to all members. The IJGT creates a press release after each tour event and will submit the story along with the results to local, national and global media outlets. IJGT Asian Circuit – 7 tournaments in 6 different countries including South Korea, Philippines, India, Thailand, Japan and China. With over 2000 participants in the 2012 season. International Junior Golf Academy – the only academy in the world that combines training, academics, and competition. The International Junior Golf Tour (IJGT) is proud to announce the 2013 Spring Events schedule for the IJGT Mental Training program. IJGT Mental Training assists members, regardless of their current ability or skill level, to improve themselves on and off the golf course by working on the mental aspect of competitive golf. Mental Training assists athletes in developing a mindset of continuous improvement that will allow participants to maximize their athletic potential by increasing their effort and energy in training and competition. Our Assistant Director of Mental Training, Scott Swainston, will be on-site at three IJGT Events during the Spring season. At each of the Events, he will be available for Personalized Mental Training Packages. These packages include a practice round session to prepare for the weekend, tournament observation session (including 30 minute post round session), and end with a post event session on Sunday. In each of these sessions Swainston will work with athletes on four key themes of improvement: developing true confidence, controlling attention, understanding and effectively managing emotions, and maintaining motivation throughout the development process. For more information and to schedule your Mental Training session at any of these three events please emailScott.Swainston@juniorsports.com or call (843) 422-2012. Limited sessions are available for each event and are scheduled on a first come first serve basis. 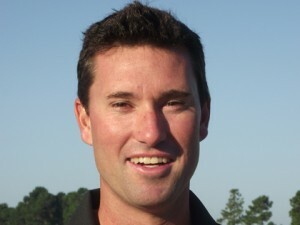 Scott Swainston is in his third year at Junior Sports Corporation as the Assistant Director of Mental Training. His experience started at Georgia Southern University where he received his Master’s Degree in Sport Psychology.While at Southern he worked with collegiate student-athletes on the mental aspect of high performance in a variety of sports. His experience has continued since joining JSC, working with athletes who compete at the junior, amateur, and professional level. 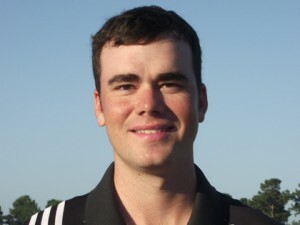 In addition to his responsibilities at JSC, Scott works closely with the International Junior Golf Tour; traveling to tournaments to work with players from all over the world on their mental approach to the game. Scott continues to be an active member of the Association for Applied Sport Psychology.